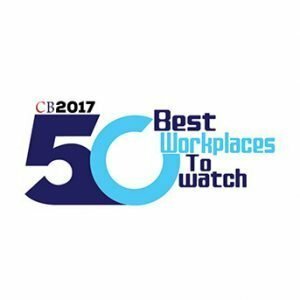 Cloud4Wi Among 50 Best Workplaces to Watch! We are proud to announce that Cloud4Wi has been nominated for the 50 Best Workplaces to Watch 2017 in CIO Bulletin. It’s been a fun ride so far and it’s gratifying to be recognized both as one of the 50 best workplaces, but also as an innovative company, “…taking WiFi to the next level with Volare”. As our flagship product, Volare enables companies to use their existing WiFi networks to understand and engage their customers better. It’s an open, cloud-based platform that we distribute through our channel partners and which connects an impressive 65 million mobile users across 15,000 locations in more than 80 countries! Volare boasts a simple login and a comprehensive collection of customer data that enables robust analytics and marketing capabilities for the ultimate in customer engagement. We’ve come a long way since our founding in 2013, but we’ve always had a solid vision, which has remained consistent: We set out to create a world where Cloud4Wi is the market leading location analytics and marketing platform. In the early days, working closely with Telecom Italia, we did our homework and found nothing existed in the market that addressed Telecom Italia’s need for a carrier-grade platform for easy management of guest WiFi services for their customers, that also allowed them to build revenue sources. By 2016, the company had enough traction to get noticed by some venture capital firms. Series A funding came first from United Ventures, a European venture capital firm. By October of 2017, the work we were doing garnered more attention in the U.S. and we received Series B funding from Opus Capital and United Ventures. Today, we are based in San Francisco, but also have offices in London, New York, Paris, Milan, Rome, Pisa, and Manila. From our early partnership with Telecom Italia, we’ve remained committed to our customers and have worked with some of the top brands in the world. The fashion house, Prada, is one such brand. Initially, there was some concern from Prada about whether their global rollout of Volare would be successful. But we quickly showed them the power, scale, and ease of use of our platform. We are happy to say that Volare was successfully rolled out to about 500 of Prada’s stores. For more information on other customer success stories, check out our customer page. Behind our strong vision and customer success, we’ve had a really strong team pushing us forward. From the beginning, we cultivated a family-like environment where we all work hard individually, but also encourage and support each other. A culture of open communication and empowerment has also worked for us. We encourage all employees to speak up and make their voice heard. We also expect them to be proactive and resourceful. Because of this trust and tight-knit culture, we’ve had a lot of intrinsic motivation, deep commitment and low turnover—all of which has set the groundwork for our continued success. Our team remains dedicated to our vision, committed to our customers and investors, and inspired by and energized by our fellow employees. If you’re interested in joining one of the best workplaces, check out our careers page!